There has been a temptation in recent years to re-evaluate those grand, flawed English cricketers of the 1980s, to cherish the outsized personalities behind the buccaneering moustaches. Perhaps even to find a pleasantly human counterpoint to the current generation of ECB-issue blue Lycra cadets. The last Ashes winter saw Graham Gooch's name whispered reverently as England's batsmen wilted against Mitchell Johnson. There is, as ever, no shortage of middle-aged men ready to sigh at the mention of David Gower, that tapering, angular figure cuffing the Australian bowlers around a straw-coloured Edgbaston, a sun king in cotton shirt and floppy hat. There are, of course, areas of resistance. Most notably there is Mike Gatting: 17 years an England player and through it all, the most obviously uncherished of the pre-modern giants. Above all, Gatting seems a baffling figure now, a cricketer whose list of high offices held - captain, coach, selector, MCC president - is matched by a competing roster of outstanding gaffes, blunders and black eyes. Some men are born into inexplicable professional preferment. Some become inexplicably preferred. Gatting just seems to have stood there and found himself bestowed, repeatedly, with the keys to the office, an endlessly clubbable figure beloved of selectors and committees, but rarely of those who watch English cricket from the boundary. The internet, so often a reservoir of fond, weepy nostalgia, offers its own verdict on his playing career. 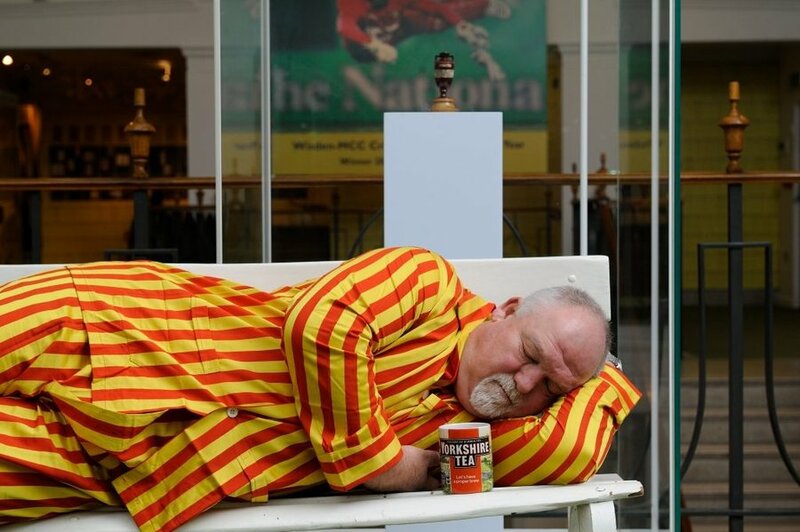 There are no mass Gatting eulogies out there, no hymns to the grace of his short-arm burp through the covers, no hint of a campaign to hipsterise, or take a fond second look at the Gatting Years. This is the first bullet point in the case against Gatting, who is, for more than simply frivolous reasons, a candidate for the title of uncoolest English cricketer of the modern age. Here he comes now. Gatts, The Great Gattsby, Gatt-Gun, Gatters, striding out with that air of doomed self-assurance: unsmiling, daddish, self-contained, a bafflingly prominent mid-ranker. Gatting's overall Test average of 35.55 puts him in the same company as Mark Butcher or John Crawley, a B-lister with attitude. And yet he remains bracketed instead in perpetuity among the dukes, a Beefy crony, a Gooch equivalent, a Gower proxy, and an emblem through it all of the doomed certainties of the bad old days. Plus, of course, there is the more serious business of Gatting's enthusiastic captaincy of the 1990 tour of apartheid South Africa. This was the nadir of rebel tours, a horribly timed intrusion on a process of reconciliation that, even now, Gatting appears to comprehend only dimly. Oh Gatt. Gatters. Gattling Gun. So near and yet still somehow so very far away. For all that, there is something about Gatting that stands apart, something oddly unspoilt buried among the inanities and the omissions. 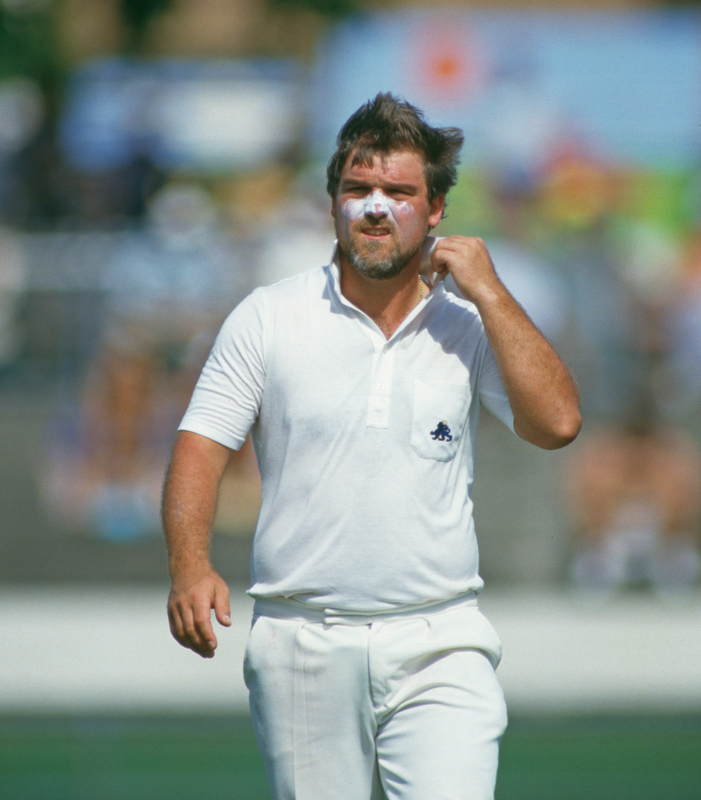 Bullish, vain, clumsy: Gatting looks in a certain light like English cricket's own mayor of Casterbridge, a brawny-shouldered, aspirational man of dim but energetic conviction. Indeed look a little closer and the bloopers and blunders reel often reveals the best of him, a cricketer who seemed always to be trying frantically to right a listing ship, and whose finest qualities are often to be found scattered among his worst. Gatting's overall Test record may have been no more than decent, but Peak Gatting was a muscular triumph. Between 1984 and the end of 1987 he played 37 Tests, scored nine of his ten hundreds and averaged 51.35. It has been pointed out that during this purple Gatt-patch he barely played against West Indies, but even here we can find the best of a cricketer who, whatever his limitations, was thrillingly brave. It is a forgotten postscript, but three weeks after having his nose flattened by a Malcolm Marshall bouncer during an ODI in Kingston in 1986, Gatting was back in the Caribbean to endure the last knockings of the blackwash. He played in Antigua with a reinforced helmet and batted for an hour, including facing down one nasty short-pitched spell from Marshall himself. Plenty of batsmen were irredeemably spooked by those West Indian quicks. Gatting - fruitlessly but still stirringly - came back for more. His captaincy record may have been terrible, but so too was the team he was often asked to lead in an age of fading stars and ragged management. His best moments were still endearingly bullish. The final Ashes Test in Sydney in 1986-87 may have been lost but it was perhaps Gatting's finest hour, as he led England's victory chase before being dismissed, still attacking, on 96. Similarly England's campaign at the World Cup that year is best remembered for Gatting's hapless reverse sweep derailing what had looked like a winning chase in the final. But look further back and Gatting's brio had been a major part in getting England to the final. Among the top 20 run-getters in the tournament only Viv Richards had a better strike rate than Gatting's 95.93. Gatting looked a genuinely modern England one-day player, hitting the ball in unusual areas and even employing some funky-Gatt captaincy in his use of John Emburey. One blunderous reverse sweep and the rest was forgotten, obscured by the sight of that familiar pigeon-toed march back to the pavilion wreathed in a distinctly English kind of failure. What remains is a flip chart of fraught, bruising, unfailingly dramatic encounters. Perhaps Gatting is captured best by his most notable co-star role, a fall-guy part in Shane Warne's ball of the century at Old Trafford in 1993. Let's face it. He was the perfect victim that day: a cricketer even English spectators could enjoy seeing utterly defeated, an acme of unsmiling roundhead rotundity put to flight by youthful brilliance. And this was in a sense Gatting's career in miniature, a series of horribly unplayable events towards which he thrust an abrasive bat, hoped for the best, and more often than not ended up trudging off looking bemused.